how do you know how many grafts per cm/2 you should get in order to get the most coverage from your HT? 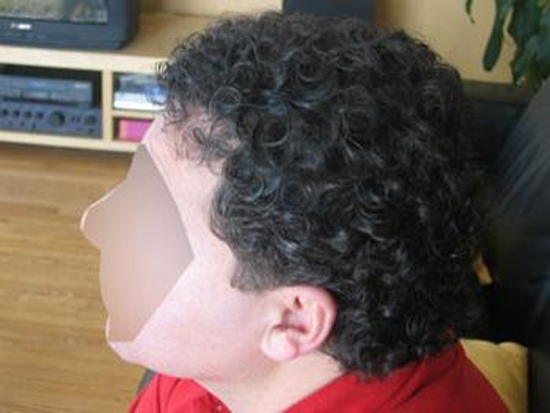 i have curly hair so may not need mine to be as dense packed as others…am i correct in this thinking? also, AT ANY POINT do you feel pain when getting an HT? i thought i read a comment where mj2003 said the first needle hurt like hell but after that it was numbed out or something. » most coverage from your HT? » others…am i correct in this thinking? » was numbed out or something. Well I can tell you that’s not the case. Anyone who tells you that there is no pain involved in getting hundreds of needles stuck in your head and then having hundreds if not thousands of holes punched all throughout your scalp (particularly in the frontal region) is LYING TO YOU BRO. It doesn’t matter what doctor is it. Having a hair transplant is not like A trip to the fair walking around eating candy apples. Doctors disgust me who on their advertisements act like it’s a trip to the water park when u come in to their office for a hair transplant procedure. But I am sure there are plenty of water parks in the State of FL. There is some pain involved. I have had both strip and Fue and there was some pain involved both the day of the procedure and after the procedure with both sessions I had. It’s really not too bad and it’s a small price to pay for more hair! » with both sessions I had. » It’s really not too bad and it’s a small price to pay for more hair! I wasn’t implying the pain was pure torture only that it is painful. And there are some doctors who advertise HT as a day in the water park like it’s such a wonderful experience with no pain or discomfort involved. Getting a HT involves pain. Period. End of story. The numbing process itself is painful when a needle is stuck in your scalp in hundreds of different spots in order to numb the areas. 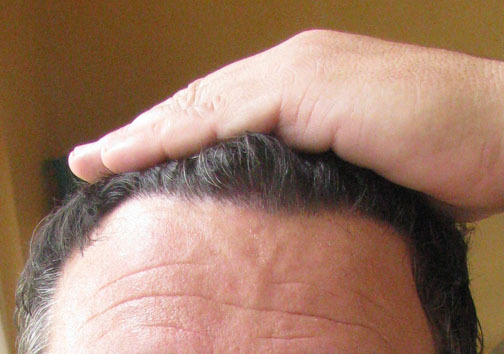 This is especially true in the frontal areas of your scalp. Okay? It’s painful. Then you better hope that all areas were sufficiently numbed because if they weren’t, and this happens, you’re going to really feel some pain. This is no fault of any doctor and certainly doesn’t imply incompetency. Rather, it’s simply sometimes not possible to always know ALL areas are sufficiently numbed. So, you’re right, it’s not pure torture, but getting a HT is not a day at the water park, and anyone who portrays it to be is lying to you! There are, however, plenty of water parks in the state of FL you could visit after you get your hair transplant. » they weren’t, and this happens, you’re going to really feel some pain. » This is no fault of any doctor and certainly doesn’t imply incompetency. I had to get additional numbhing solution as the day went on in my first procedure, it was a large 4,000 graft+ procedure so they had to renumb the area. When I started to feel the needles I told Dr. Armani and they refroze the area. Wasn’t a big deal. Your overall point is correct keeping, it should not be advertised as a day spa treatment. It’s true that with curly hair, you can achieve an appearance of better coverage and density with less grafts than someone with bone straight hair could. In order to really get a good idea of how many grafts per square centimeter you might need, you’ll need to have a consultation with a surgeon or at least submit photos and detail your expectations for a HT physician’s review. I have not had a hair transplant myself but I’ve spoken to many of our patients about their experiences and whether they have felt any pain during the procedure. Most patients are pleasantly surprised by how little discomfort they feel while others have said that the initial anesthesia injection can be a little painful. I truthfully haven’t heard any patients say that the procedure itself is painful though there is commonly a little soreness once the anesthesia has worn off later that night. 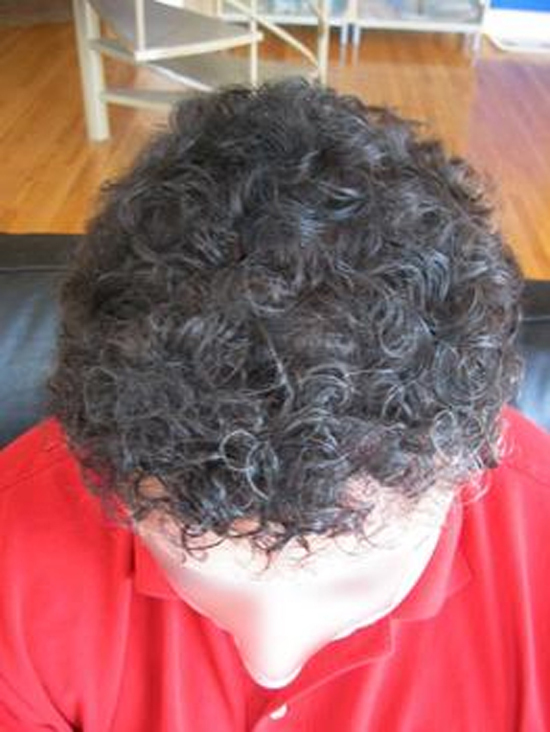 Patients with curly hair do tend to have an advantage as they get better coverage with the same amount of grafts. 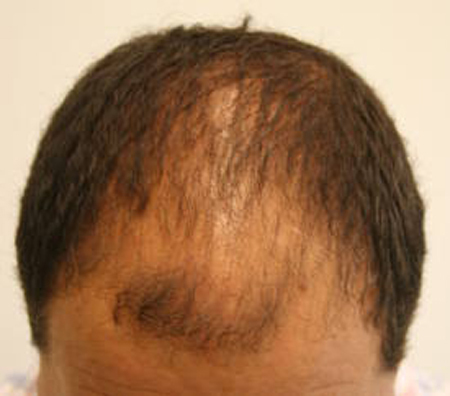 The patient below had real curly hair, he had 3,500 grafts for zones 1, 2 and 3 with Dr. Armani. Very good coverage with this many grafts.